The request by antidoping officials was extraordinary, if not unprecedented, in the history of the Olympics. President Vladimir V. Putin responded defiantly as the possibility emerged that the Russian flag would not appear at the opening ceremony on Aug. 5 in Rio de Janeiro. “Today we see a dangerous relapse of politics intruding into sports,” he said in a statement. Dr. Grigory Rodchenkov, Russia’s former antidoping lab director, told The New York Times in May that he covered up the use of performance-enhancing drugs by Russian Olympians at the Sochi Games, and that he did so under orders from the government and with the aid of Russia’s intelligence service. In a report of nearly 100 pages, Richard McLaren, a Canadian lawyer retained by the World Anti-Doping Agency to investigate Dr. Rodchenkov’s claims, presented proof that a state-run doping program was executed during the Sochi Olympics, and well before and afterward. With evidence dating to 2011, the report said athletes were given cocktails of performance-enhancing drugs, and incriminating urine samples were routinely covered up. Richard McLaren, a Canadian lawyer who led the World Anti-Doping Agency’s investigation into Russian Olympic cheating, said Russia’s security service was involved in the scheme. Beyond interviews, the report was informed by forensic evidence, metadata and emails retrieved from computer hard drives. The investigative team gained access to 95 doping samples of Russian athletes from Sochi that had been stored in Switzerland; 11 were chosen at random for analysis. All of them showed signs of tampering, the report said, including scratches on the inside of the bottle caps and abnormal levels of table salt in urine, which Dr. Rodchenkov said he added to make certain recorded chemistry measurements of the tainted and clean samples matched. Investigators confirmed that a man identified as a member of Russia’s intelligence service — Evgeny Blokhin, with whom Dr. Rodchenkov conducted the covert overnight urine-swapping operation in a storage closet at Sochi — had a security badge to access the Sochi lab. That security clearance identified him as a sewage and pipes engineer, the inquiry found. Top Olympic executives were next due to meet in Rio, two days before the Olympics begin on Aug. 5, but the I.O.C. said Monday that it had scheduled a meeting for Tuesday to discuss “provisional measures and sanctions.” Officials are now under intense pressure from antidoping officials and athletes to bring stiff sanctions against Russia, less than three weeks before the Games begin. Discussing his findings in an interview in a Toronto hotel ballroom, Mr. McLaren said that the conclusions of his 57-day inquiry met criminal-law standards. He confirmed that his team had communicated with the United States Department of Justice, which in May opened its own inquiry into Russian doping. Mr. McLaren said his inquiry had established “beyond a reasonable doubt” that Russia’s ministry of sport, its antidoping organization and the country’s federal security service were involved in an elaborate cheating scheme that stretched far beyond what had been alleged. 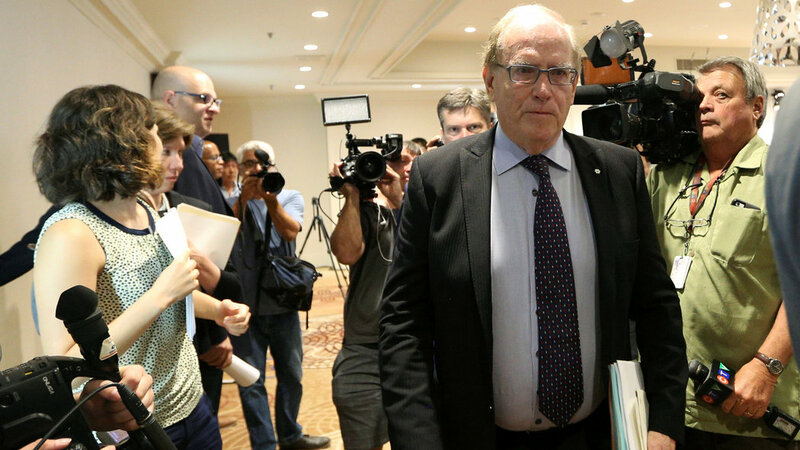 Document | WADA Investigation of Sochi Allegations The report by Richard McLaren, a Canadian lawyer commissioned by WADA, confirmed “beyond a reasonable doubt” that Russia was involved in an elaborate doping scheme that stretched beyond the Sochi Games. “The surprise result of the Sochi investigation was the revelation of the extent of State oversight and directed control of the Moscow laboratory in processing, and covering up urine samples of Russian athletes from virtually all sports before and after the Sochi Games,” Mr. McLaren wrote in the report. The evidence showed that the subversion of doping controls had occurred in 30 sports, including 20 Olympic summer sports and Paralympic sports. Craig Reedie, the president of the global antidoping organization that commissioned the report, was not present at the Toronto announcement, but in a statement he expressed concern that, in addition to the Sochi Games, there was a “serious manipulation of the doping control process” at the 2013 track and field world championships in Moscow and the 2013 World University Games in Kazan, with additional measures to circumvent doping controls at the 2012 London Games. Dr. Rodchenkov said he created a mixture of steroids and liquor — known as “the Duchess” cocktail among Russian sports officials, according to the report — that was provided to athletes ahead of competition. That combination promoted speedy absorption of the drugs, to minimize the period of time during which they could be detected. Some sports officials spoke up in defense of Russia on Monday, articulating the hope that “all countries and athletes will be present” at the Games, as Brazilian sports minister Leonardo Picciani said. The International Olympic Committee has defended the integrity of the Russian Olympic Committee in recent weeks. But some of the key actors in the government scheme who were named in the report also had Olympic committee roles. Russian officials emphatically dismissed Dr. Rodchenkov’s claims after they were published in May. Still, Russia’s track and field team was banned last month from competing at the Games by the International Association of Athletics Federations, the sport’s governing body, after Mr. McLaren had privately given a preliminary report on his investigation. Russia is contesting the track and field ban with the Court of Arbitration for Sport in Switzerland, and the hearing is expected to take place on Tuesday. “This is not just about what we in North America call track and field and what others in the world call athletics,” Mr. McLaren said, confirming Dr. Rodchenkov’s claims that cheating pervaded Russian sport — affecting results at both the Winter and Summer Olympics and leaving runners-up who have finished behind Russian athletes with questions. Mr. McLaren said in the report that he had not had enough time to identify athletes who might have benefited from manipulated test results. The antidoping agency said it was interested in commissioning further investigation, provided the funding was available. The report identified several Russian officials who had engaged in sophisticated planning dating back years. Lead among them was Yuri Nagornykh, Russia’s deputy minister of sport and a Russian Olympic Committee executive, who had denied the accusations after The Times’s report last spring. Mr. McLaren’s report also named Irina Rodionova, the deputy director of the center of sports preparation of national teams of Russia, confirming that Ms. Rodionova provided Dr. Rodchenkov with information on which anonymous, coded urine samples belonged to each athlete, and thus informing whose urine he swapped into each bottle. Grigory Rodchenkov, Russia’s former antidoping lab director, said that he had covered up the use of performance-enhancing drugs by Russian Olympians at the 2014 Sochi Games. The antidoping adviser to Russia’s sports minister, Natalia Zhelanova, was also identified as a key liaison in the scheme “as early as 2012,” having sent emails about covering up drug positives from her government account, the inquiry found. Asked about the allegations last week in Moscow, Ms. Zhelanova denied wrongdoing. But about Ms. Rodionova’s involvement, she said: “That doesn’t surprise me,” while insisting that the work of Ms. Rodionova was independent of the sports ministry. She gestured toward the offices of Ms. Rodionova, steps from the sports ministry’s palatial yellow headquarters and sharing a courtyard where cars are parked. Nearing the end of a day filled with rapid-fire reaction to his report, Mr. McLaren said he been skeptical of the allegations two months earlier. 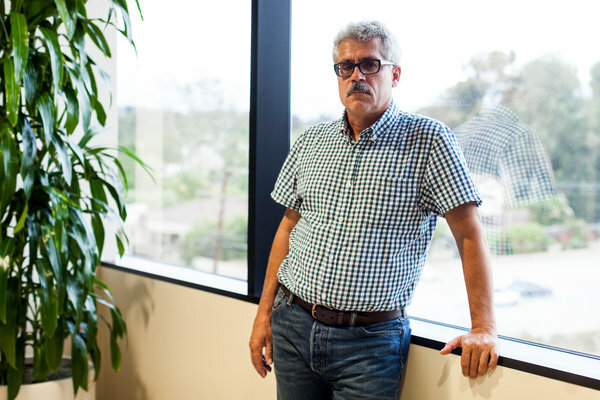 Dr. Rodchenkov remains in the United States but has declined interview requests as government investigations into Russian doping continue. Ahead of Rio, the impact of that evidence is continuing.